We are situated near Portland Basin, Ashton under Lyne, east of Manchester. 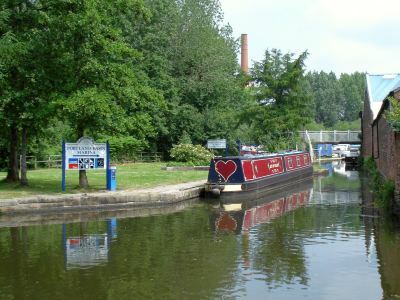 Our location near Dukinfield Junction is convenient for boaters on the Cheshire Ring and the South Pennine Ring. We were established in 2000 just in time for the grand opening of the Huddersfield Narrow Canal and have been offering a growing range of services to boaters since then. Our services include Dry Dock facilities and Day Boat hire. We also have secure moorings available at Droylsden Marina. The most recent addition to our range of services is our Holiday Hire Boat, Evelyn. We aim to continually improve and add to our services each year. Portland Basin Marina is a limited company registered in England and Wales, Reg No. 3475163.